Glenn E. "Buzz" Horner Jr. 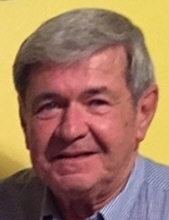 Celebrating the life of Glenn E. "Buzz" Horner Jr.
Obituary for Glenn E. "Buzz" Horner Jr.
Glenn E. “Buzz” Horner Jr., 74, Sykesville, passed away Friday, November 30, 2018 at UPMC Presbyterian Hospital in Pittsburgh. Born July 12, 1944, in DuBois, he was the son of the late Glenn E. and Mildred E. (Scott) Horner Sr.
On December 22, 1962, he married Sharon A. Vicklund in DuBois. She survives. Glenn attended DuBois Area Schools. He retired from Triangle Springs as a fitter. Glenn was a member of the American Legion #17 and enjoyed hunting, golfing, gardening, and spending time with his family. He was Methodist by faith. Glenn was a veteran of the U.S. Marines during the Vietnam Era. Glenn is survived by four children, Glenn E. “Ed” (Maria) Horner III, Brockway, James R. (Chrissy) Horner, Falls Creek, Emily Christine “Chrissy” (Steve) Allen, Brockway, and Mary A. Horner (Steve Brown), Clearfield; twelve grandchildren, Rebecca, Amanda, Nathan, Kyle, Caitlin, Joshua, Jeremy, Alexis, Derek, Tim, Madalyn, and Ashley; five great-grandchildren, Harper, Nolan, Kyah, Rosalie, and Tyler; five siblings, John “Jack” (Bonnie) Horner, DuBois, Barb (Gary) Schuckers, Emerickville, Marsha Alanskas, DuBois, Connie (Sonnie) Sickeri, DuBois, and Carol Horner, Rockton, as well as numerous nieces and nephews. He was preceded in death by his parents, two grandsons, James R. Horner Jr. and Shane E. Horner, a brother, Robert Horner, and a sister, Audrey Horner. Friends and family will be received Monday, December 3, 2018 from 1-3 and 5-8 p.m. and Tuesday, December 4, 2018 from 11 a.m.- noon at the Adamson Funeral Chapel, Inc. Following Tuesday’s visitation, a funeral service will be held at noon with Rev. Todd Horner officiating. Military honors will be accorded by the DuBois Area Honor Guard. Interment will be in Morningside Cemetery. Memorial donations may be made to the Shane E. Horner Memorial Foundation, First Commonwealth Bank, 1201 Main St., Brockway, PA 15824. To send flowers or a remembrance gift to the family of Glenn E. "Buzz" Horner Jr., please visit our Tribute Store. "Email Address" would like to share the life celebration of Glenn E. "Buzz" Horner Jr.. Click on the "link" to go to share a favorite memory or leave a condolence message for the family.